Denver Property Flip is a proud supporter of Littleton Lions Athletics and whenever the teams are out playing, we are always there to cheer them up. The first Littleton High School structure was completed in 1920 and at the time, only 20 students were enrolled in the school. In the years leading up to the World War II, the school built more wings that doubled the floor space and at the same time reduced the overcrowding thanks to the growing number of students at the time. Today, Littleton High School has more than 1600 students, but the school is no longer being housed in the same building. In 1956, changes were rung, with the old structure being converted to Grant Junior High School, but improvements such as six additional classrooms and a cafeteria equipped with a kitchen were also included in the new design. Two years later, an annex was also added in order to provide more room for music students, a shop, labs as well as home economics rooms. This same year also saw Littleton High School get a football field to the east end while tennis courts found a new home just close to the turn at Littleton Boulevard and Windermere Street. The current school rests on constructions that were completed in 1956, but over the years, improvements have been coming from all angles, with the latest happening in 2015, where the theater was remodeled and completed. The Littleton Lions Athletics program has a number of activities that students take part in, ranging from baseball, basketball, cheerleading, football, cross country, golf, gymnastics, lacrosse, soccer, softball, swimming, tennis, wrestling, volleyball as well as track and field events. Even though the Lions have had mixed results over the years, the best year came in 2005 when the boys’ track and field team was ranked second overall during the 5A state championship. At the time, the winning team was led by gold medalists in the 4×100 relay Shane Cronin and Nate Yorks, both of whom won silver medals in their individual events, coming in second to the state’s record holder for 100m and 200m events, Jeremy Dodson. Where Cronin managed the second spot in the 400m as well as the 4x400m relay, Yorks kept the same position while taking part in the individual 100m and 200m sprints. The two managed to break the Littleton High School records in the 100m, 200m, and 400m as well as 4x100m relay events. With many athletics events held in fall, summer has always been a great way for Littleton Lions Athletics teams to get ready for the vigorous schedule ahead. Like last year, this summer has been full of action and while this is always a time for many families to relax by the pool, hang out with friends and family or get down to work with summer homework, this is also a great time to keep fit through running. For those taking part in any sporting event that is held during spring, it’s always a great thing to keep an eye on the Littleton Lions Summer Running event. As noted, fall has always been a busy season for athletes, especially those taking part in running track sporting events. As a result, there’s always the need to create a solid base of mileage in order to gear up for the start of the cross country season that is usually held in August of every year. Note that this is an optional event for anyone who is willing to take part, be it an athlete or even someone just looking to keep fit. These efforts never go unrewarded. For instance, at the end of 2016, Preston Davis, the athletics director of Littleton High School, was awarded 4A Jeffco League Athletic Director of the year following a great season for the Littleton Lions Athletics. This is a great honor for a great person, having spent four years as a director, but two of these years have been at Littleton. 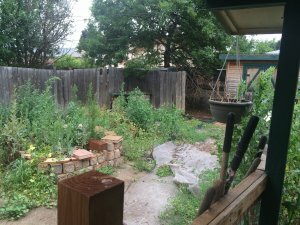 Despite being staunch followers of the Littleton Lions, Denver Property Flip is always happy to attend to anyone looking to find quick solutions to questions like how do I sell my house fast, how can I make a quick house sale or who can buy my house fast, among many other real estate problems. Call us now on (720) 370-9595.